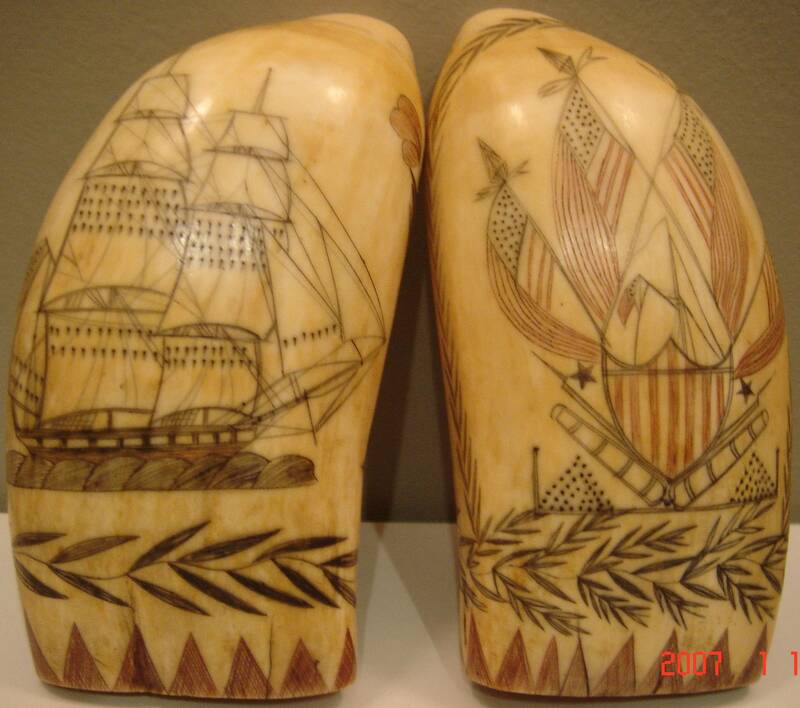 Of all Americana ephemera, the nautical realm is probably the one i find most fascinating – and whale tooth engravings, known as scrimshaw, are a perfect example of why. 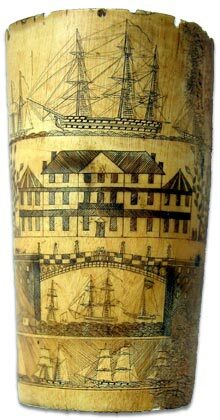 Intricately crafted and delicate, yet impossible to separate from the manly act of butchering the largest animals on the planet, scrimshaw retains and encapsulates everything that makes a glorified life at sea an inviting one. 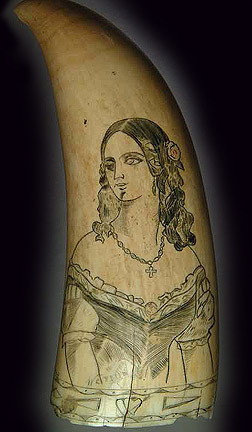 The employment of whale teeth originally emerged in the form of tools that sailors would forge from the excess bones of the whales they harvested, and emerged as an art form secondarily when sailors would carve designs in their spare time in the early 1800s. Unfortunately, this act created a market for whale teeth, and in consequence, the harvesting of whales specifically for their teeth, (just like elephants and the market for their tusks of ivory). 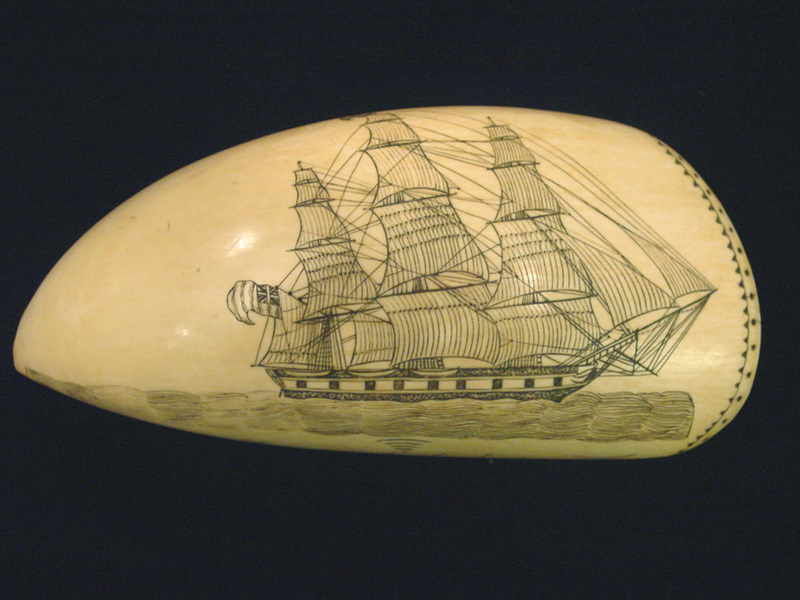 Sperm whales were hunted until their species nearly collapsed, and today, scrimshaw is a form of contraband. 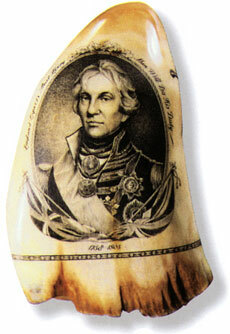 Nonetheless, antique scrimshaw is an amazing slice of American whaling heritage.